← Was Chester Bennington suicided just like his close friend Chris Cornell? Did Chester Bennington really commit suicide? Linkin Park singer Chester Bennington was found dead of an apparent suicide Thursday — the same day his close friend Chris Cornell would have turned 53. Bennington’s death at 41 sent shock waves through a music community still reeling from Soundgarden frontman Cornell’s own suicide May 18 in Detroit. The pair, both lead singers of their respective bands, were close friends for years and often appeared on stage together. Bennington was even the godfather to one of Cornell’s children. The day of Cornell’s death, Bennington penned a touching tribute to his pal on Twitter, praising his talent and thanking him for the time they spent together. The pair’s relationship stretches back years, and so do their musical collaborations. 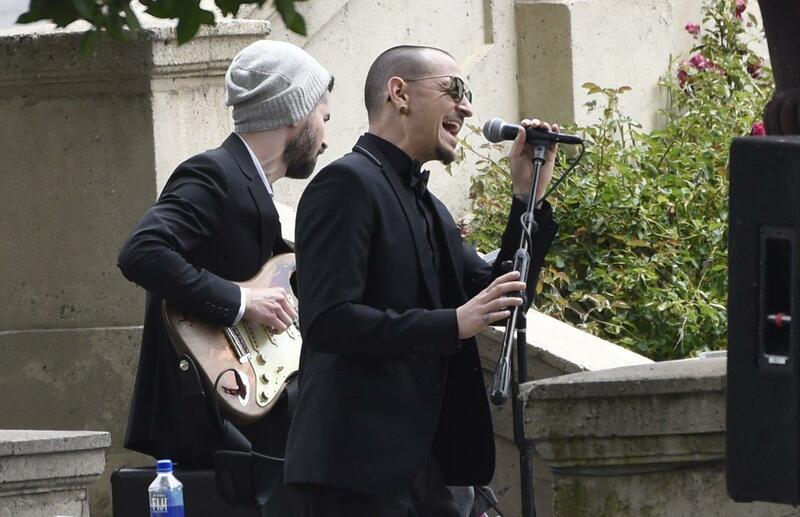 In 2008, Cornell toured with Linkin Park, letting Bennington take the stage with him to sing “Hunger Strike,” a song that appeared on a Temple of the Dog album in 1991. T refers to Bennington’s wife of 12 years, Talinda Bentley.